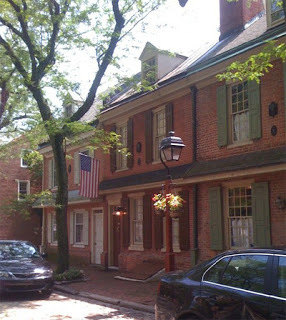 If you own an older row house, chances are you will find yourself doing a bit of research here and there. I’m always on the look-out for references that provide not only guidance about moving forward with maintaining my row house but also foundational information about the architectural history of the row house. One way to keep abreast of interesting information about your row house is to set up a Google alert about the type of home you have. Ours is a Federal row house so I have an alert that emails me when something about Federal row houses has popped up on the web. Recently, I received a result for “The Philadelphia Row House” (see https://www.jstor.org/stable/987872?seq=1#page_scan_tab_contents), an article from an issue of Journal of the Society of Architectural Historians from 1957 that provides historical context along with some architectural diagrams and a few photos related to early row house development in Philadelphia. Not exactly new but still useful to have in our row house reference library. Most towns have a historical society and they’re often a great resource for old house research as well.